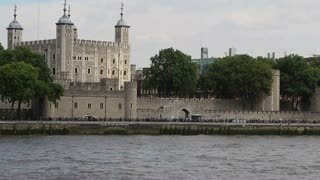 Search Results for "Tower of London"
Tower Bridge in London is a combined bascule and suspension bridge over the Thames river . 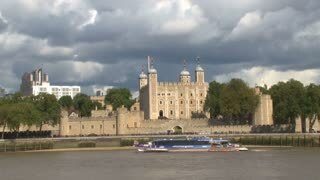 It is close to the Tower of London, from which it takes its name. It has become an iconic symbol of London. Beefeater guard at the Tower Of London in London, England. 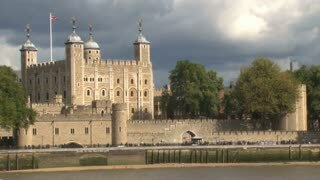 This is a shot of the Tower of London up close. It is a mid shot taken from the pavement on a cloudy day which shows the clouds moving, riding strong winds. The Union Jack (flag) is up on the towers. London England Construction Barge Thames River City Center 4K 1012. Capital and most populous city of England, United Kingdom and Europe. Bridge crosses River Thames near Tower of London. Riverfront business. A boat passes by the Tower of London at night on the River Thames on November 18, 2017 in London England. 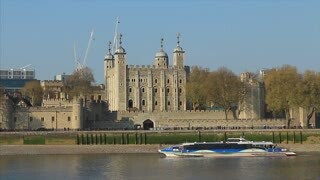 View of house at the Tower of London with the Shard in the background on November 17th 2017. Tower of London lit up at night close up on November 18, 2017 in London England. Wide shot of London Tower, Gherkin, Thames and City. 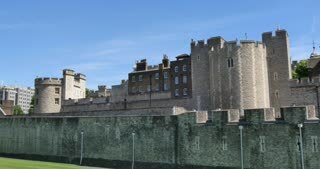 Tower of London in the daytime. 1950s: Tower of London. Costumed guards stand outside Tower of London. Text placard. St, Paul's Cathedral in London. 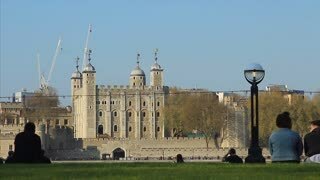 Her Majesty's Royal Palace and Fortress The Tower of London, UK. Time lapse.